Sushant Singh Rajput is a popular TV as well as movie actor of the Indian acting industry. He had debuted as an actor through various TV Soaps and serials. His performance in a soap called ‘Pavitra Rishta’ catapulted him to immense fame. 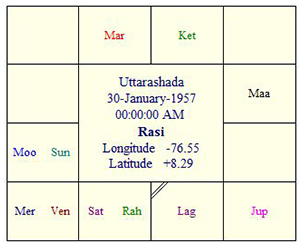 He was born on January 21st and is a Aquarian by virtue of his date of birth. The planetary alignments on his natal chart make him what he is as a person. Under the influence of his dominant planets, he turns out to be a creative individual exuding great charisma and humor through his personality. Blessed naturally with innovative thinking and artistic skills, Sushant succeeds quite effortlessly in his career pursuits. However, occasionally he may lose track of his career goals and become somewhat directionless. 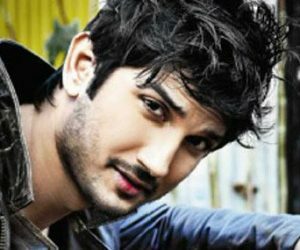 Sushant Singh Rajput shows great promise as an actor. In a short span of time, he has achieved significant fame plus awards like Guild award for best male debut, Screen award for best actor, Big Star award for most entertaining Television actor etc. He has a conventional approach towards relations. When it comes to dealing with his near and dear ones, he attaches importance to age-old traditional values. Love and marriage hold a solemn entity for him. He is very cautious about his finances and usually spends every single penny carefully. He is capable of organizing his finances proficiently enough and can thus, multiply his income whenever needed. Health is never his priority. He tends to overlook his health and that may lead to amplification of existing health issues. Most of the ailments he suffers from come from improper food habit plus sleeplessness.